McCollum Center was made possible through the support of Margaret W. and Leonard F. McCollum and the Continental Oil Company. It is named in honor of Leonard McCollum. The construction of the McCollum Center marked the beginning of a dedicated Executive Education complex in the northeast corner of the HBS campus. The classroom facility opened in 1970, in tandem with the nearby Baker Hall, an Executive Education residence. 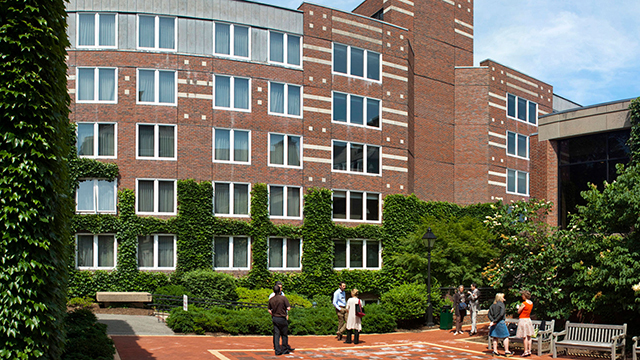 Designed by Shepley Bulfinch Richardson and Abbott, the modern, two-story 20,083-square-foot building houses four classrooms with seating for 374 students. The McCollum Center has been updated over the years, most recently in 2008, when it received technology upgrades, architectural finish enhancements, new furniture, improved HVAC systems, and access/egress improvements. The recent changes earned McCollum LEED certification in recognition of the careful attention paid to sustainability and environmental concerns. Construction of the McCollum Center was made possible by a 1967 gift from Margaret W. and Leonard F. McCollum, the Continental Oil Company, and Mr. McCollum’s colleagues at Continental Oil, where he served as chairman from 1947 to 1972. Leonard McCollum (1902-1993) gained a reputation as a skilled oil industry leader during his early career with Standard Oil. He joined Continental Oil when it was a medium-sized company with $209 million in assets. When he retired as chairman, the company, renamed Conoco, was a multinational energy conglomerate with assets of $2.3 billion. 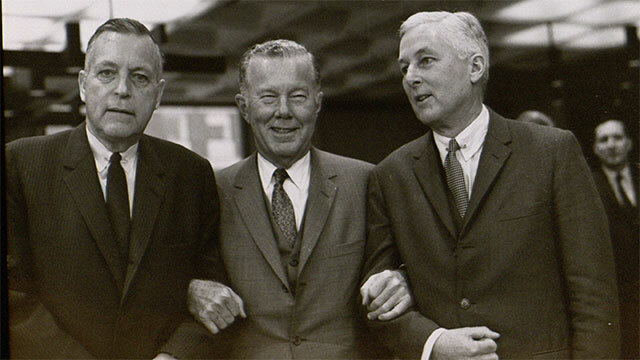 Conoco’s growth stemmed largely from McCollum’s innovative and expansive business strategy, which led to exploration of foreign energy resources and new operations related to natural gas processing, fertilizers, detergents, and plastics. Within the company, he launched departments devoted to market research, research and development, and planning and coordination. 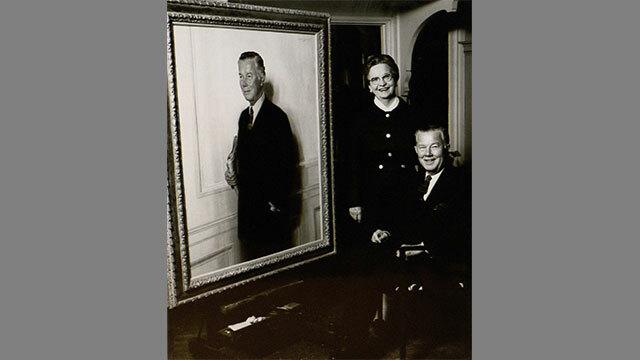 With regard to philanthropy, McCollum once said, “The self interest in business is best served when the public interest is paramount.” His own philanthropy included extensive involvement in health-related organizations. He served for 14 years as chairman of the Baylor College of Medicine in his home state of Texas and chaired the People-to-People Health Foundation, whose floating hospital ship HOPE gave free medical treatment around the world. He also spearheaded Project Orbis, a flying eye-care facility that brings medical treatment and education to underserved populations across the globe. At the time of the gift, McCollum, a member of the HBS Visiting Committee, talked about the importance of the School’s “pioneering” role in executive development. “We are in the midst of a knowledge explosion unprecedented in history,” he said. “Our challenge in business is not just to cope with it, but to contribute to it.” Mrs. McCollum expressed her support for the education of women managers at HBS, noting, “Today, women must be interested in business science in addition to the traditional domestic sciences.” Continental Oil had a long history of sending executives to the School’s Advanced Management Program at HBS, and many Conoco contributors to the funding of the McCollum Center were AMP alumni.